NEW ORLEANS – Alabama Attorney General Luther Strange made headlines following the 2010 BP oil spill when he said private attorneys would not represent the state in litigation against the oil giant, but in an about-face, Strange has appointed two Alabama law firms to assist in suing BP on behalf of the state of Alabama. The practice was widespread in the offices of former Alabama Attorney General Troy King, who Strange beat in the 2010 Republican primary. But late last year, Strange moved to deputize private lawyers from Beasley Allen, of Montgomery, and Cunningham Bounds, of Mobile, to assist in the Deepwater Horizon oil spill case. Both firms have lawyers appointed to the Plaintiff's Steering Committee, an exclusive group of 18 lawyers who are set to split a special compensation package worth $660 million for overseeing the class. 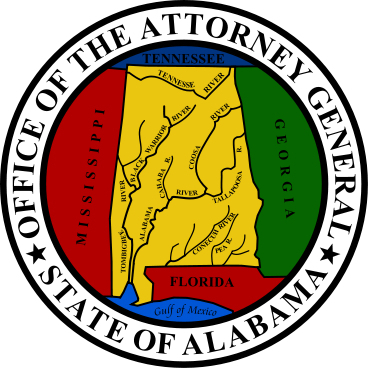 For Beasley Allen the appointment represents the second go-around for the firm working with the Alabama Attorney General’s office on the case. The law firm was originally hired by King on a contingency fee basis in 2010 before Strange terminated their representation on his first day in office. The resurfacing of Beasley Allen in the BP case appears to have begun with the office of Alabama Governor Robert J. Bentley. Bentley initially hired Beasley Allen to represent the governor’s office in the Deepwater Horizon case, even though his office is not a party to the litigation. BP objected to the appearance of legal representation for the governor’s office in the case and shortly afterward Strange appointed lawyers from Beasley Allen and Cunningham Bounds as Deputy Attorney Generals to serve as additional counsel in the case. Campaign finance records show both Beasley Allen and Cunningham Bounds, as well as their attorneys, are prolific political donors. In fact, in 2005, non-profit legal organization the Washington Legal Foundation filed a judicial misconduct complaint against Alabama Circuit Judge John Rochester with the Alabama Judicial Inquiry Commission after the Associated Press said he took $60,000 in campaign contributions from Beasley Allen in an unsuccessful run for the Alabama State Supreme Court. At the time, Rochester presided over a products liability case filed by Beasley Allen involving the drug Vioxx.